You need a very large USB hard drive to use this feature properly. If your computer is already slow, then the system recovery image will copy the exact state of the computer as is. When you restore the “disk image” your computer will still be slow. If you have a virus or more, at the System Image creation time, the viruses will be transferred onto it too. When you’ll restore the computer from that “system image” then you will restore the viruses too. Therefore it is definitely useful to create the “system images” when the computer is running at peak performance. Is like saving a game. You only want to save at the best times possible. You have to start with a clean computer to create a “System Image” then wait for a month or two, and make a new one. It is safer to have two system images in parallel at all times. If you have a good running computer that is the proper time to create a system image. In between system images you can use system restore to undo problems that might occur from new software installation or uninstallations. This is why it is important to have the recovery DVDs made. Even now if your computer is slow you can make your recovery DVDs. If its crawling with viruses and you still can operate the computer you still can create the recovery DVDs without transferring the viruses on those DVDs. If your computer contains a recovery partition then you can recover your computer from that partition. That partition is created at the factory and it is packed within a container file. It would be very difficult for the virus to infect or copy itself on the recovery partition. Therefore making it now is very safe. Go on to see how to create a System Recovery Image. Go to -> Start -> All Programs -> Maintenance -> Backup and restore to “Create System Image”. 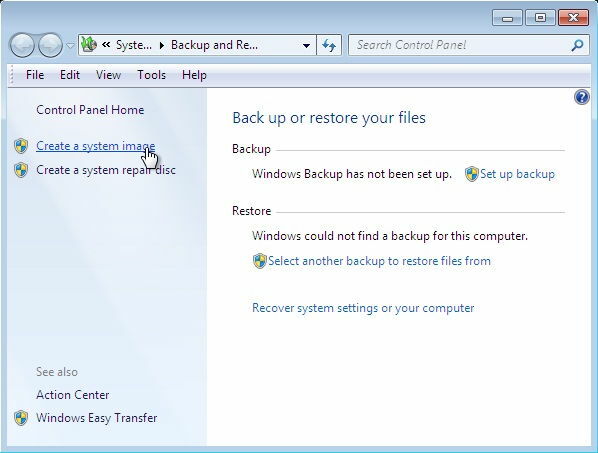 Click on the backup and restore in the maintenance folder and wait for the system backup application to initialize. After the application has initialized click on the Create System Image to proceed. 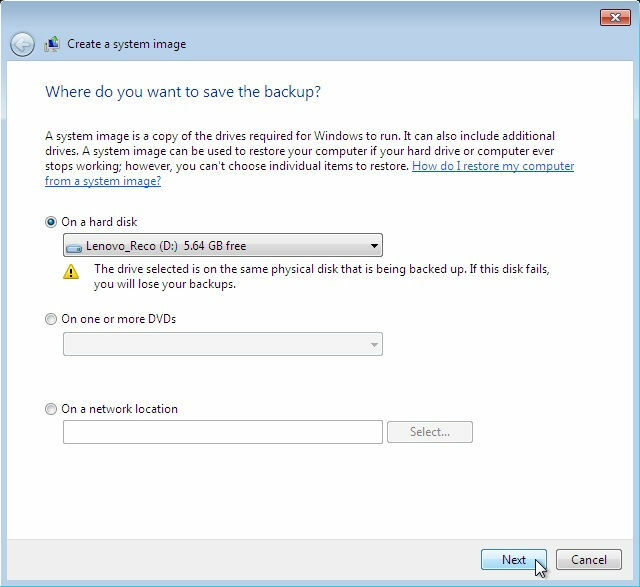 On the next window you have to select the destination where you would want to store the disk image. The best solution and the easiest is to save it on a USB backup disk. You have other alternatives like DVDs but that option is not worth it. Unless you already recovered your computer and you installed and customized it to your general liking. Then you can create a system recovery image that needs very little alteration after that. Is like a second set of recovery DVDs. And the third storage option for the computer recovery is on the network but I think you would already know how to do it if you have a network set up. 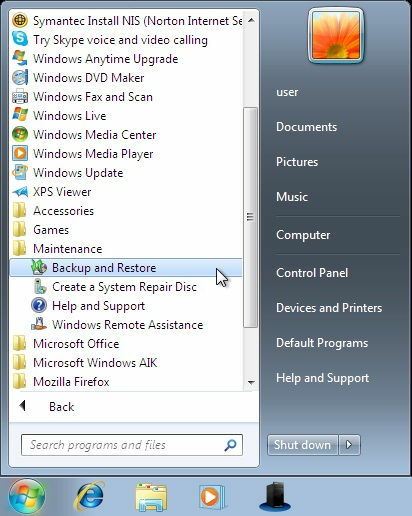 Click next to proceed and create the computer recovery backup. Here let the system select the default drives to backup. The system will automatically select the system drives it needs all you need to do is to start the backup for a later computer recovery. In addition make sure you select the external Hard disk drive not the C:\drive. 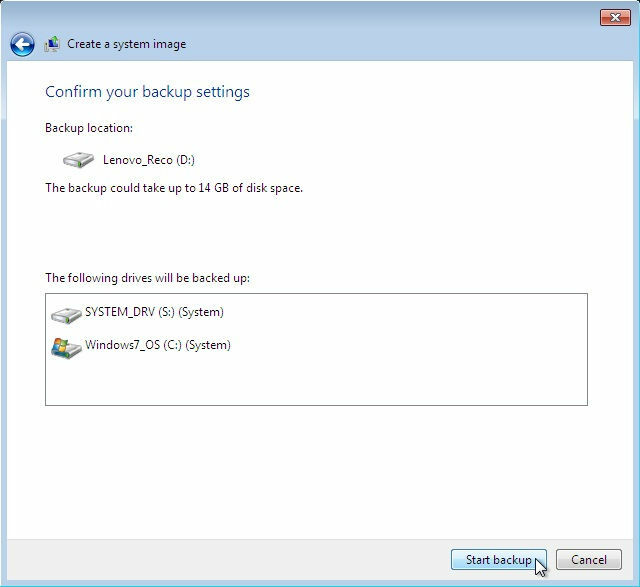 Start your computer recovery backup and if you get any errors try to compare the space of your C:\ drive and the space available where you are trying to store the system recovery image. After the disk image has been completed the system will ask you to create a System repair disc. just slip a CD into the DVD-rom drive and proceed to create the disc.